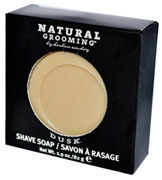 Shaving Razors & Blades: Preserve, Herban Cowboy Shave Soap! • Triple Razor w/ 4 Cartridges: This BPA free Triple Razor includes two replacement blades and has an easy-to-grip, no-slip handle that is 100% recycled #5 plastic and totally recyclable after use. Titanium-covered blades feature a Vitamin E and Aloe lubrication strip for added comfort, and are easy to remove and replace. Package is reusable as a travel case and handle is recyclable after use. For men and women. Also compatible with Personna® Acti-Flexx® blades. BUY NOW! • Triple Replacement Blades 4-Pack: Replacement Blades for the Preserve Triple Razor flex and pivot to avert nicks and cuts and deliver a smooth, close shave for men and women alike. Titanium-covered blades present a Vitamin E and Aloe lubrication strip for extra comfort and performance, and are easy to remove and replace. No animal testing. 4 Blades/Pack. BUY NOW!